How insane. 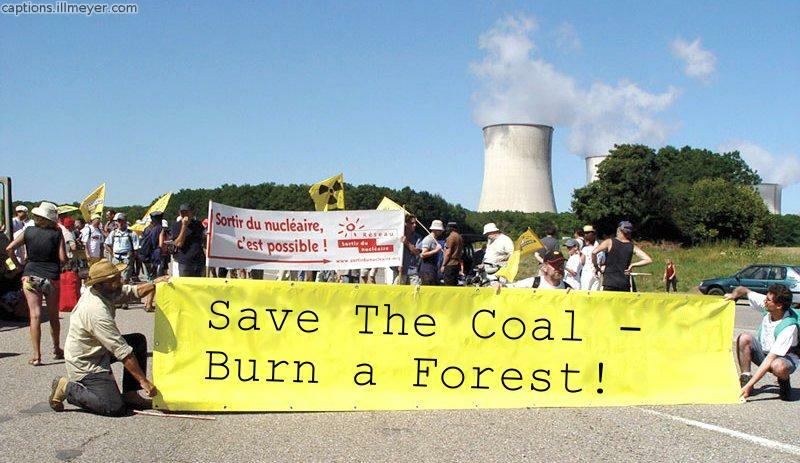 The Green AGW Cult is killing whole forests in North America and shipping the dead trees all the way to Europe to be burned for electricity instead of burning coal which has been dead for millions of years. “The European policy is boosting exports of wood pellets from North America. American export volumes are forecast to increase from an estimated 1.5 million tonmes in 2012 to 5.7 million tonnes in 2015, according to the North American Wood Fiber Review. Total Canadian exports to Europe in the second quarter of this year rose 14% from the first quarter, with reports of British Colombian pellet plants running at full capacity thanks to European demand.